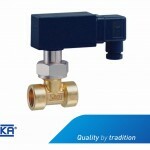 The Sika VTR flow sensor consists of the measuring turbine and a pick-up mounted on the outside. The liquid flows into the measuring turbine and causes the rotor to move. 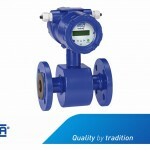 Due to the characteristic internal diameter the speed of rotation is directly proportional to the flow rate. The moving rotor blades are detected by the pick-up and this is converted into a pulsed signal proportional to the flow rate. 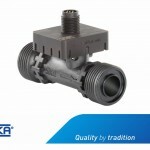 SIKA’s VTR turbine flow sensor allows you to determine precisely, dependably and easily the flow rates of different liquids, such as water and other low viscosity liquids, under the most severe conditions. 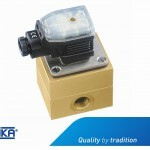 The VTR sensor is particularly robust and, due to the wide range of nominal diameters and five different pick-ups, can cope with even the most severe conditions. 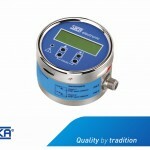 The characteristic variable is the K-factor (pulses per litre) which is specific to each measuring unit, is determined by calibration and specified on the name plate. 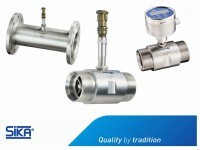 A five point calibration report can be supplied on request.